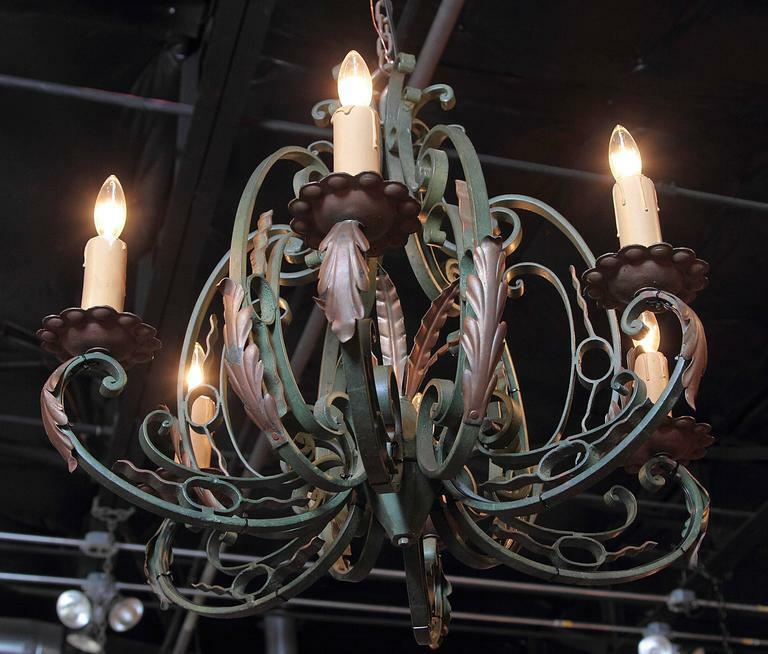 This turn of the century iron chandelier would make a beautiful decorative addition to a bedroom, breakfast room or living room. 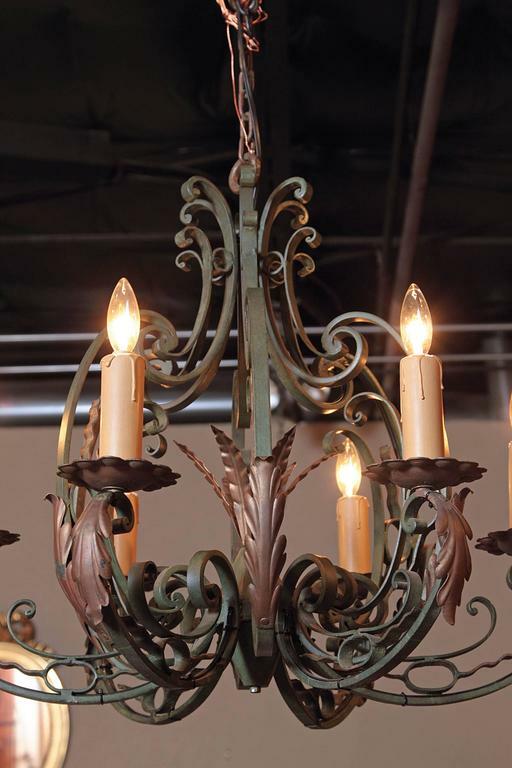 Crafted in France, circa 1920, the rustic light fixture has a scrolling base and six scrolled arms with their original wooden candles. 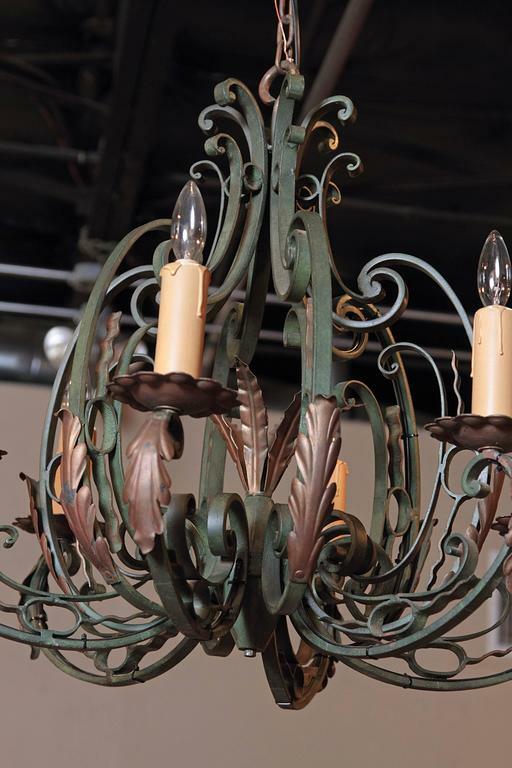 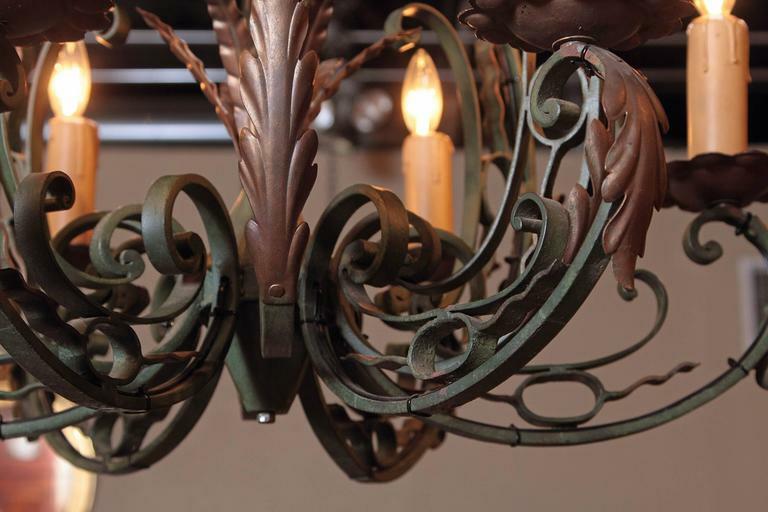 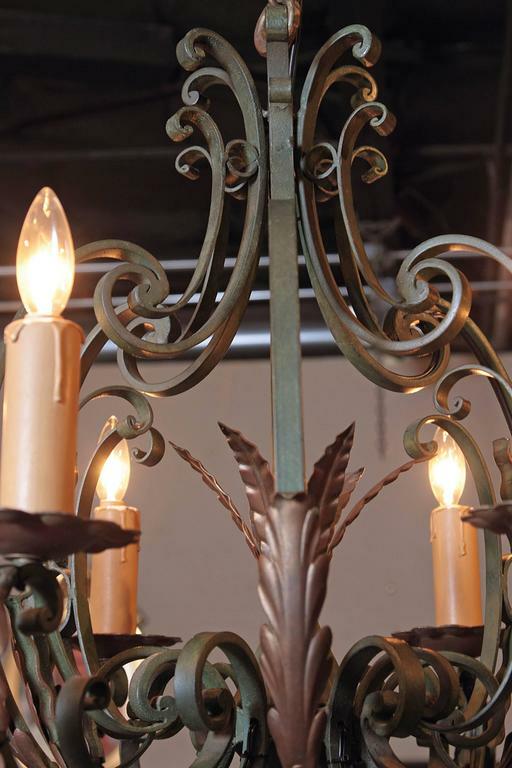 The artfully formed fixture has its original green, verdigris finish and gilt accents on the leaves. 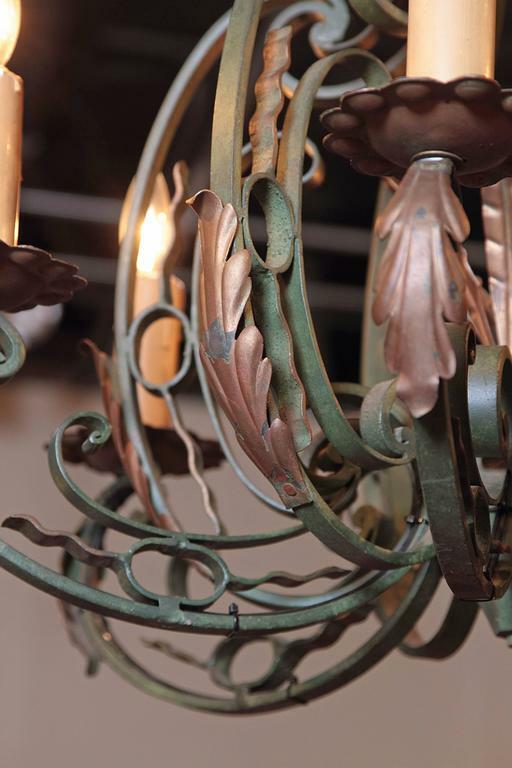 This piece is in excellent condition with new wiring. 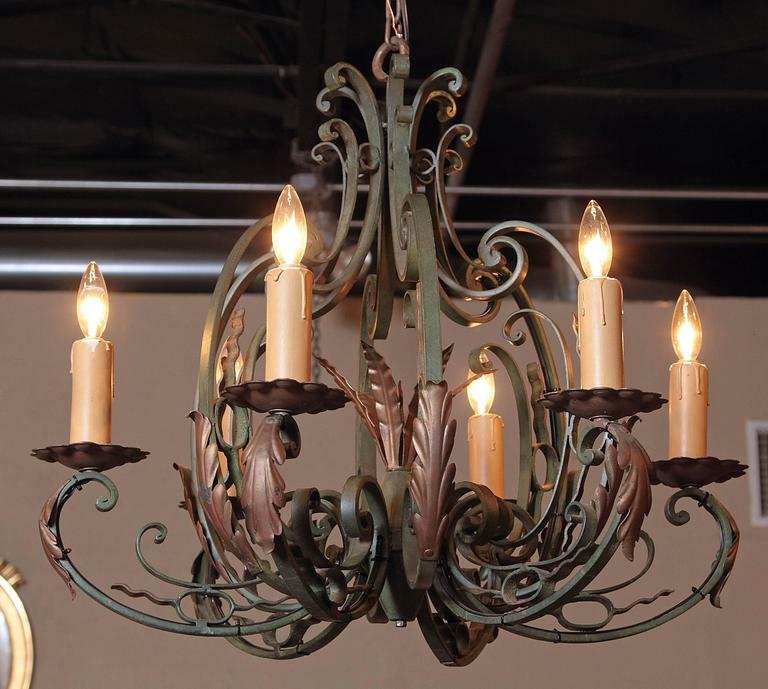 Included: A canopy, loop, and chain; each color-matched to the fixture. 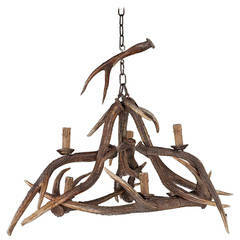 Measures: Diameter 27" Height 25". 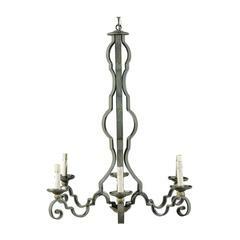 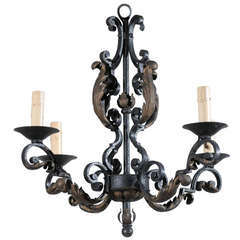 Early 20th century four light French iron chandelier, newly wired, with scrolling C-form arms with acanthus leaf decoration. 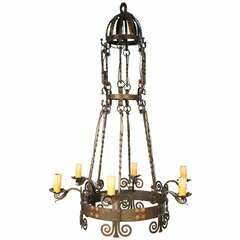 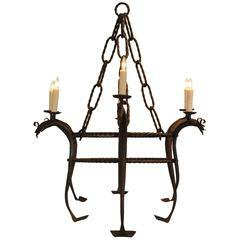 French iron chandelier, circa early 20th century. 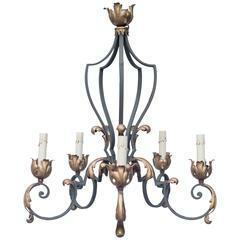 This beautiful piece comes already wired. 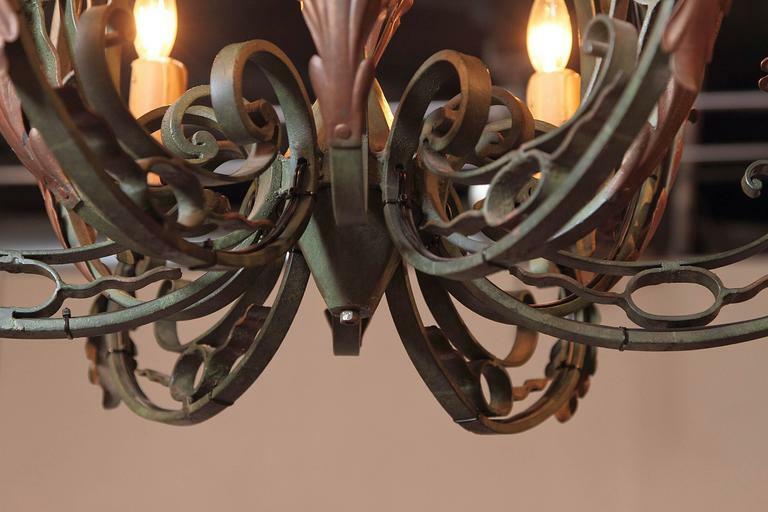 Lovely iron detail! 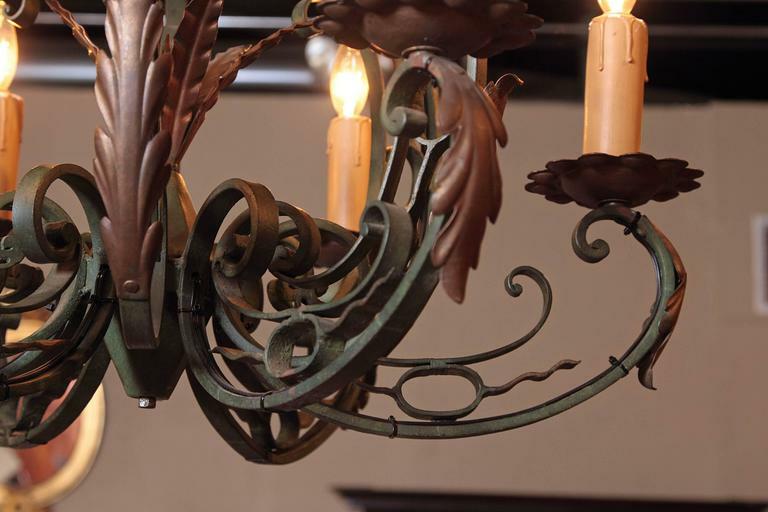 Having double twisted iron rings and six serpentine shaped arms, three larger and three smaller, suspended from large spiral twisted chains, UL Wired.